Concept Art for a potential new project I’ve been toying around with. 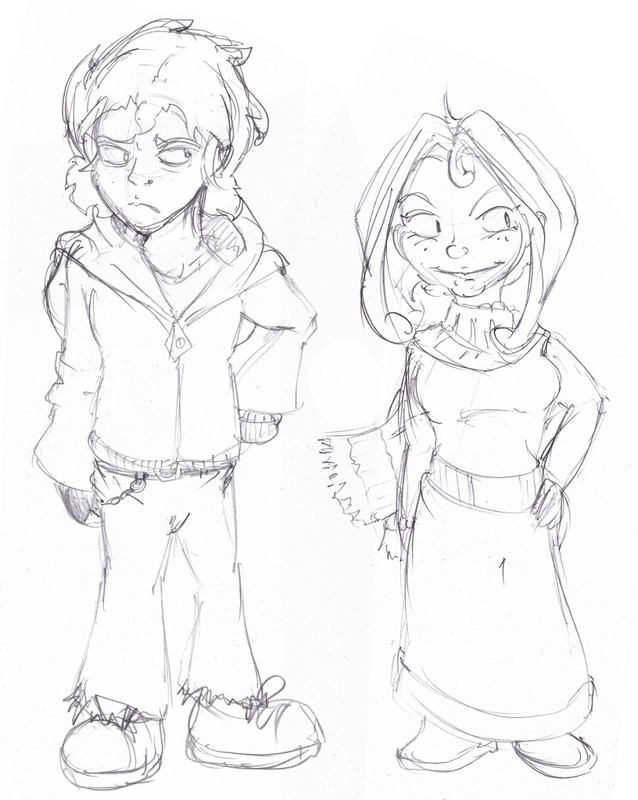 These are two critical characters, Radier (left) and Lorelai (right). This project is still very much in its infancy, so I won’t really go too terribly into it as it might not get far off the ground, but I liked these preliminary sketches and thought I would share. So much in its infancy, in fact, I don’t have much to say other than its intent is to be pretty philosophical in story and silly in its presentation. I’m really not even sure what format to go with, but it’ll like be (yet another) comic, or a game perhaps. While it may never materialize into anything valid, it’s good to get the creative juices flowing. …sorry for the uncomfortable metaphor there. Character-wise, Radier is sullen, misanthropic, and prone to fits of depression and self-loathing. Lorelai is, perhaps, too outgoing, for anybody’s good but her own. If I like how the project continues to progress, I’m likely to turn this into a full illustration soon.